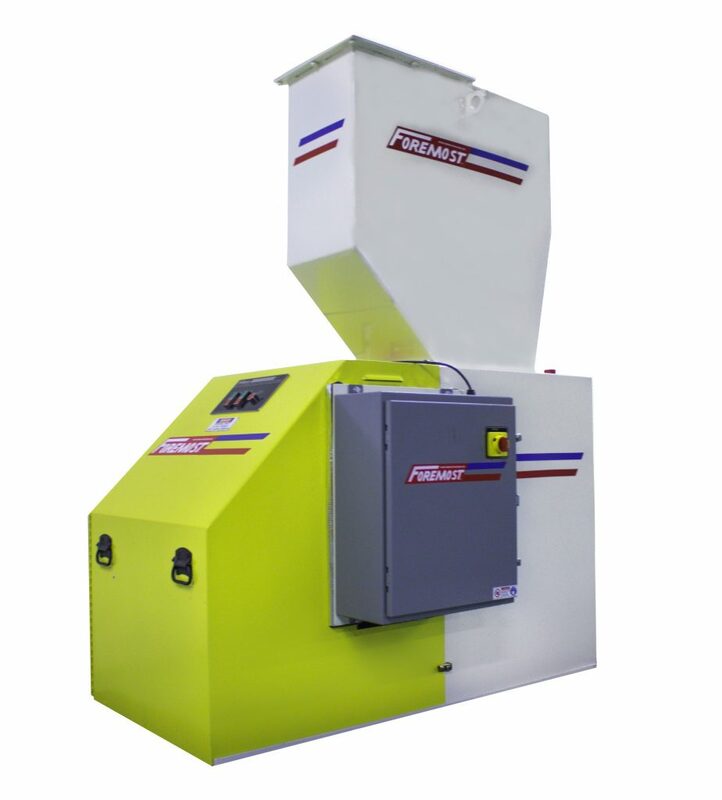 FUTURA Quiet Granulators – QG-1814 – Foremost Machine Builders, Inc. The Foremost QG-1814, only a few inches wider than the smaller models in the QG Series, has a throat area at east 80% greater than competitive models of similar width. This is large enough to accommodate 5-gallon pails, and a full range of horsepower options assure sufficient power reserves to handle any material, no matter how tough. Note: This machine is not designed to granulate large purgings. For this application, request information on our patented Dual-Stage Grinders. 10, 15, 25, or 30 HP TEFC motor, 1800 RPM. Typical Output: 500-1000 lbs. per hour. Sound levels: 69 dBA (idling), 77 dBA (grinding). Under 40 amps @ 460 volts (30HP).